Cervical total disk replacement devices are used to replace torn out/thinning, herniated or bulging disc in cervical spine area. Cervical spine has vertebrae separated by disc. This disc consist of gel like structure (nucleus pulpous), which functions as cushion and therefore act as shock absorber. Cervical disc allows smooth movement of the neck. Cervical disc when undergo degeneration, space between two vertebrae narrows down leading to cervical degenerative disc disorder. Cervical degenerative disc disorder is characterized by symptoms such as neck inflexibility, constant neck pain (especially at night), and stiffness. It may also cause radiating pain in arms, arm weakness, and numbness. Herniated disc is form of cervical degenerative disc disorder in which disc brakes open and its inner core leaks out of disc and presses on nerve root. Total disc replacement surgery is performed when other treatment options such as pharmacological drug therapy or physiotherapy are unable to cure the condition. These artificial disc also called Cervical Total Disc Replacement (C-TDR) preserves the motion disc space, helps in neck motion, reduces cervical degenerative disc disorders, and reduces future complications and need of bone graft for spine fusion. The global cervical total disc replacement market was valued at US$ 771.6 million in 2017, and is expected to witness a CAGR of 22.1% over the forecast period (2018 – 2026). Increasing prevalence of cervical degenerative disc disorder is expected to propel growth of the total disc replacement devices market. According to an article ‘Global Burden of Disease’ published in the journal Lancet in 2016, neck pain is one of the most prevalent disease worldwide, which degrades the quality of life. Major cause for neck pain is chronic disease cervical degenerative disease. According to International Association for the Study of Pain factsheet in 2017, neck pain affects 30-50% general population annually, 15% of this population is projected to experience chronic neck pain in their lifetime. This neck pain is associated with cervical disc disorder. 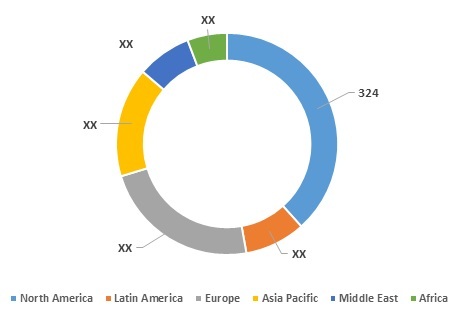 Increasing number of old age population worldwide is expected to fuel growth of total disc replacement devices market, owing high risk of developing degenerative disease related to cervical spine. Other treatment approaches such as pharmacological intervention do not provide long lasting cure therefore disc replacement remains key treatment approach. However, high cost associated with artificial disc is expected to restrain growth of the market. Private insurer may not cover the cost of cervical total disc replacement device along with cost of surgery, therefore in this case patient has to do out of pocket expenditure for receiving device and surgery. Cervical total disc replacement devices is preferred in indications such as degenerative disc disorder etc. It is utilized in case there is no clinical improvement from pharmacological and physiotherapy intervention. There is another option against C-TDR which is traditionally used such as anterior cervical discectomy and fusion (ACDF). Cervical total disc replacement(C-TDR) carries advantage over the ACDF that it does not need use of bone graft therefore potential complications do not arise and there also less chances of failure. C-TDR also has low revision surgery rate. C-TDR preserves motion while acting as artificial disc in between two vertebrae. C-TDR comes with three designs such as constrained, semi constrained and unconstrained. They are made up of material such as stainless steel, cobalt, molybdenum and titanium. Biocompatible material such as PEEK are used in case metal over biocompatible type of C-TDR. Key companies covered as a part of this study include AxioMed Corporation, DePuy Synthes Spine, FH Orthopaedics, Globus Medical, Inc., Zimmer Biomet, Inc. Medicrea International, Medtronic plc, Sofamor Danek, NuVasive, Inc., and Osimplant, Pioneer Surgical, Ranier Technology, Spinal Kinetics, Spinal Motion, Stryker Corporation. *Browse 45 market data tables and 35 figures on "Cervical Total Disc Replacement Devices Market - Global forecast to 2026”.